What is marketing advice for real estate worth to you — if you don’t have to pay for it? Some folks would say that you get what you pay for. But in the case of Adwerx, you are paying. With your time. Anywhere from 15 to 30 minutes of it. Real estate marketing consultations are complimentary for customers. And every now and then, we offer them to non-customers, too. For instance, Adwerx gave away 10 hours of consultation time to non-customers at the NAR 2016 event in Florida. Adwerx team members work with real estate agents. The team of marketing specialists at Adwerx enjoy the conversations they get to have with our customers. And they approach those meetings from a service perspective — seeking to help our customers succeed. 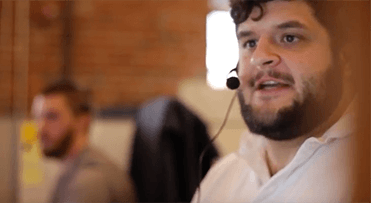 “We make sure our customers are thinking strategically about their marketing, and not just throwing money around,” said Matt, who is part of the Adwerx team. Learn more about how to create a real estate client persona here. These consultations would have a hefty hourly rate attached to them at any brand consulting firm. But it’s something that Adwerx offers for free — even before agents become customers. Examine your overall strategy. What other tactics do you use? Take a high-level look at your Adwerx campaign if you already have one. Overview of industry standards for digital ads. Identify your audience and what motivates them. Create messaging to speak to that audience. Optimize your landing page experience to work with your ad.